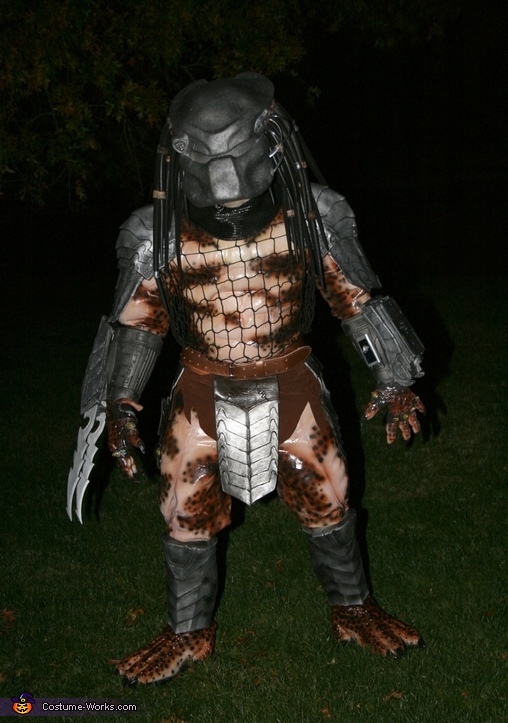 This was a homemade costume I made and put together after watching the first AVP film. I'm a big sci-fi fan so I thought it'd be fun. The wearer in the pictures is me (Rolando). My father took the pictures outside of our house at night. Overall, the costume took me almost a year to make. It was really fun. If you would like to contact me, we discuss your interest in purchasing the costume.